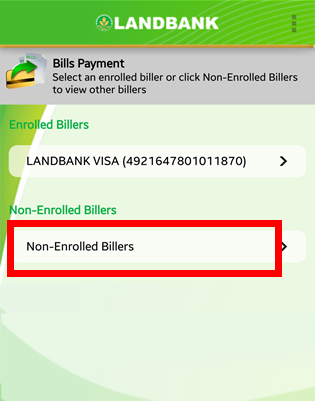 Note: Enrollment is required for bills payment facility through Landbank iAccess. 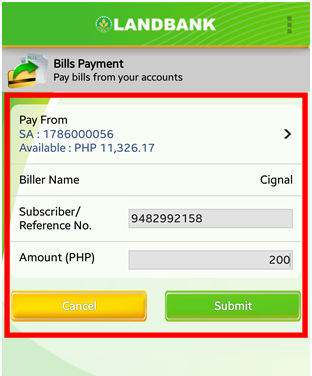 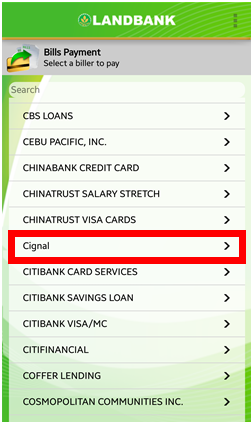 Download Landbank Mobile Banking Application available for Android (Google Play) and IOS (Apple Store) users. 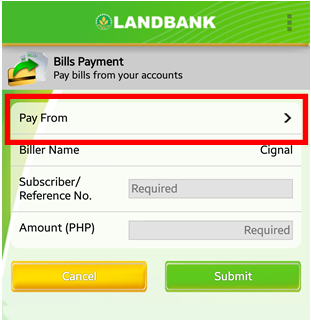 Open the application and enter your Landbank iAccess Username and Password. 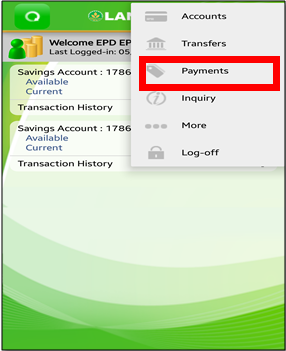 A confirmation screen will appear showing the details of the successful transaction. 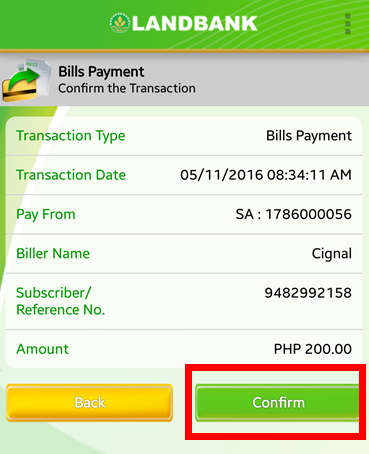 A copy will also be sent to your registered email address.